Jack D. Lebowitz received his B.A. from the College of William & Mary in Virginia (with honors) and was the baccalaureate speaker during graduation ceremonies in 1989, and Juris Doctor from the University of Maryland School of Law in 1992. Prior to entering the practice of law, Mr. Lebowitz completed an Asper Fellowship with a Federal Bankruptcy Judge in the United States District Court for the Northern District of Maryland. Upon completion of law school, Mr. Lebowitz entered private practice with the Law Office of Marvin Ellin. His practice was devoted to the representation of individuals in personal injury, birth injury and wrongful death matters. 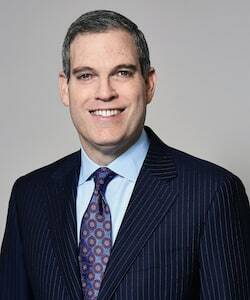 Mr. Lebowitz was a founding partner of the firm Lebowitz & Mzhen Personal Injury Lawyers in 1996 where he has continued to limit his practice exclusively to representing Plaintiffs in personal injury and wrongful death cases. Mr. Lebowitz has represented individuals in virtually all categories of personal injury cases. These include claims related to automobile accidents, motorcycle accidents, trucking accidents, pedestrian accidents, bicycle accidents, medical malpractice, nursing home negligence and abuse, pharmacy errors and misfills, trip and fall injuries, wrongful death and survival actions, as well as all matters involving severe personal injury. Mr. Lebowitz has successfully litigated cases throughout the District and Circuit Courts of the State of Maryland, both on the western and eastern shores, and in the Federal Courts located in the State of Maryland, the Superior Court in the District of Columbia, and with local counsel, cases in the States of South Carolina, Pennsylvania, and Delaware. Mr. Lebowitz is admitted to the Bars of the State of Maryland and the District of Columbia. Mr. Lebowitz is an active member of the Maryland Association for Justice and the American Association for Justice, as well as various bar associations in Maryland and the District of Columbia. 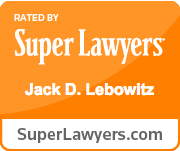 Mr. Lebowitz has been selected for inclusion on the Maryland Super Lawyers list for 2011, 2012, 2013 and 2019. Mr. Lebowitz has been selected as a member of the National Association of Distinguished Counsel and The Trail Lawyers: Top 100. Please contact Jack D. Lebowitz by clicking here in order to receive information and consultation regarding a personal injury matter and the process involved in pursing full and fair compensation for injuries sustained. ALL consultations are FREE. It is very important that you know your rights and act quickly to protect your rights. Failure to move forward in a timely manner may result in the loss of an opportunity to pursue your personal injury case.